The 11-speed Campagnolo Record groupset was my choice for my Neil Pryde Bura SL road bike build. Having visited the Campagnolo headquarters in Vicenza, I know the care and attention that goes into the production of every Campagnolo product; it is an attention to detail that explains why the Italian brand's parts out-last most others, and which also makes them ideal for an endurance road bike build. 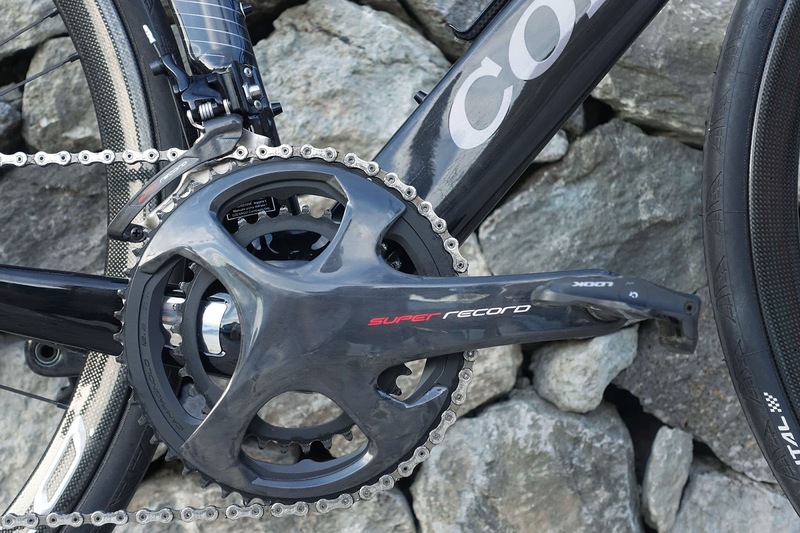 The introduction of the new Movement12 12 speed groupset is exciting to me for a number of reasons. Firstly, it provides a wider range of gears, which makes it more suitable for endurance riding. 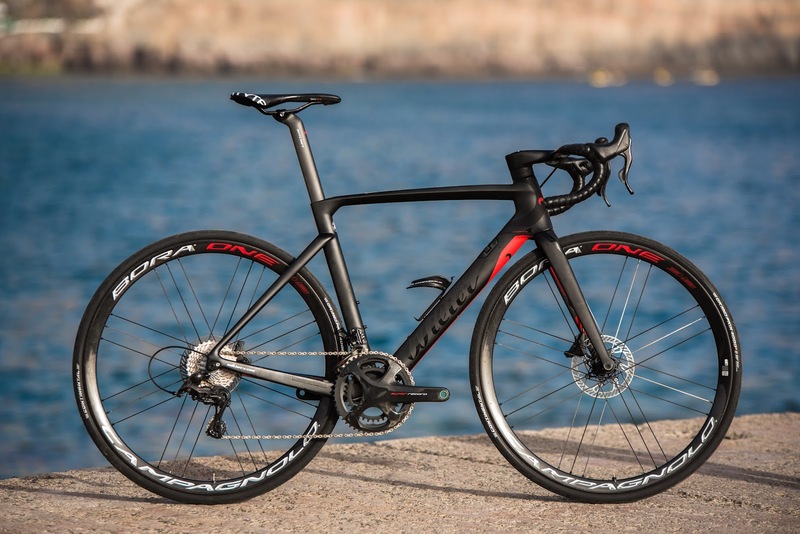 Secondly, it combines that with disc brakes, which makes it more suitable to a gravel or adventure bike. 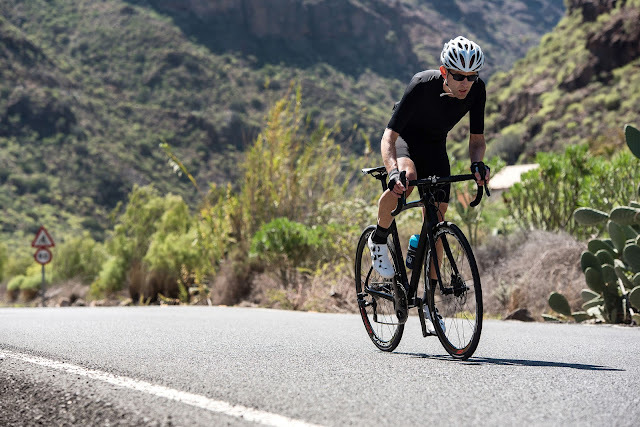 Finally, it improves a number of aspects such as comfort, braking, and shifting; all of which are vital to long distance performance. A good friend of Life In The Saddle, Augustus Farmer, was out testing the new 12-speed groupset last week, and offered to provide some interesting feedback on the design and function. Gus: "From a design standpoint, SR11 to SR12 is probably best described as an evolution; all be it one that brings a plus-one to the party. Through the new cassette and chainring bolt pattern set-ups it spreads the gearing across a wider range; perfect for a changing landscape, or at least the broadening horizons in road cycling." Campaganolo have completely redesigned the front and rear derailleurs for the Movement12 project. 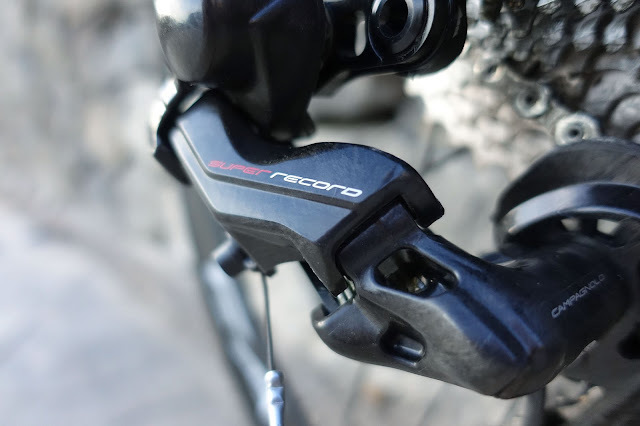 The rear derailleur introduces a new trajectory curve, and an upper wheel pulley controlled by a gearwheel rather than a spring. This offers more precise shifting, and better power transfer across the extensive 11-29 or 11-32 cassettes (only two cassettes are available). The other good news is that the 12-speed cassettes in Movement12 fit onto the standard Campagnolo 10/11-speed freehub bodies, so existing wheels will be usable. 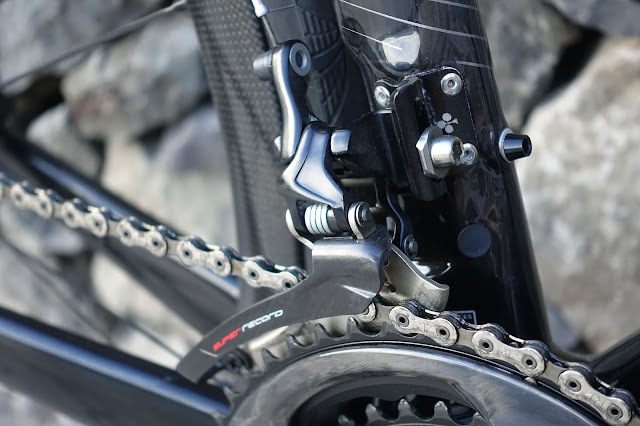 The front mech has also been developed to reduce free-stroke on the shifter, and the cage has been changed to accommodate the greater chance of cross-chaining that occurs with a wider cassette. 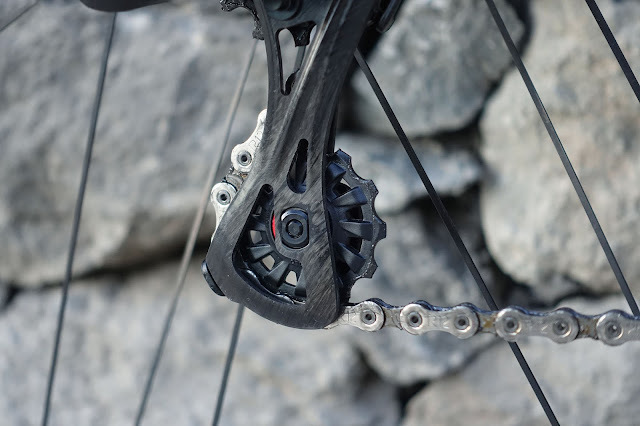 Finally, a noteworthy upgrade is that the new Movement12 chainset is universally compatible with standard, semi, or compact chainrings; and it is also usable with both disc and rim brake groupsets (something that is a development over the Campagnolo H11 groupset). Universal compatibility means more versatility, which is great for bike riders. Shifting was always light and precise with SR11, and I'd say it has perhaps an even lighter feel still on the new narrower drivetrain. 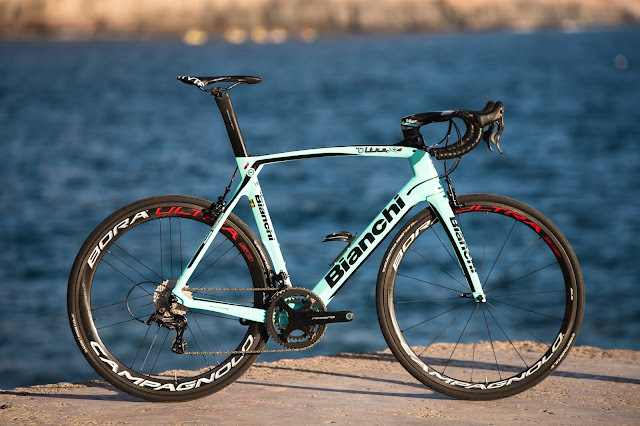 Front shifting, definitely a Campag strong point in recent years, is noticeably even more slick and lighter in up push. Other Italian shifting idiosyncrasies of effortless upshifts, and multiple downshifts, being even more pronounced here (if pronounced effortlessness isn't indeed a paradox). " To make things more comfortable, Campagnolo have re-developed the already very good Ergopower shifters, to make them easier to use. On both the disc brake and rim brake versions of the Movement12 brake hoods there are larger downshifting and upshifting levers. The larger levers make them more accessible. 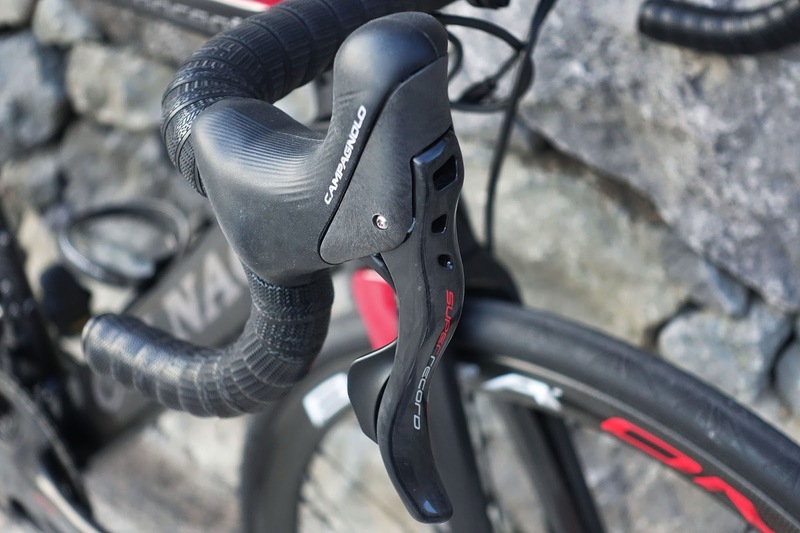 Campagnolo have retained the one-lever-one-function approach, which I have always been a strong advocate for. 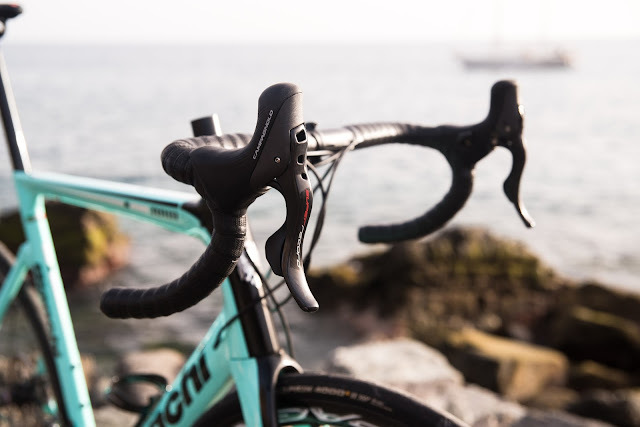 It is worth noting that the hydraulic disc brake version of the levers is only 8mm higher then the rim brake version, which makes it equally as comfortable to use. Additionally, everything from the brake lever reach, to the free-stroke of the levers can be adjusted, to personalise them to hand shapes and sizes. Quote - Gus: "Shifter wise, the design of the Ergopowers has evolved a little too. They have the same inward leaning tops; a bit like a wonky Smurf's hat; with this incarnation being a little knobblier, to aid positioning on the top of hoods. The slight change in shape to the downshift trigger is a small improvement in ergonomics, but the bigger change in design of the lever blade is quite a bit more comfortable than before; notably when braking in the hoods, there is a more pronounced edge, and all round beefier feel to the blade; translating into a greater contact point, and perhaps a more sure pull. Again, it is not revolution perhaps like the bringing of an extra sprocket or a hydraulic rotor to a group, but it does feel like a thoughtful design improvement nonetheless. " For me, the biggest development brought by the introduction of the M12 groupset is the combination of extra wide gear range with disc brakes. 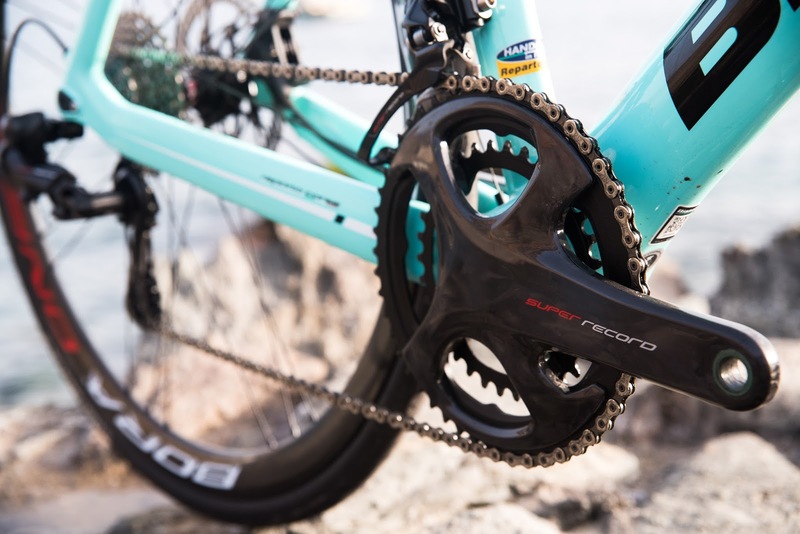 An 11-32 cassette, combined with a compact chain-set will provide enough gears for endurance gravel adventures. Disc brakes are of course known to be a better option for gravel bikes. 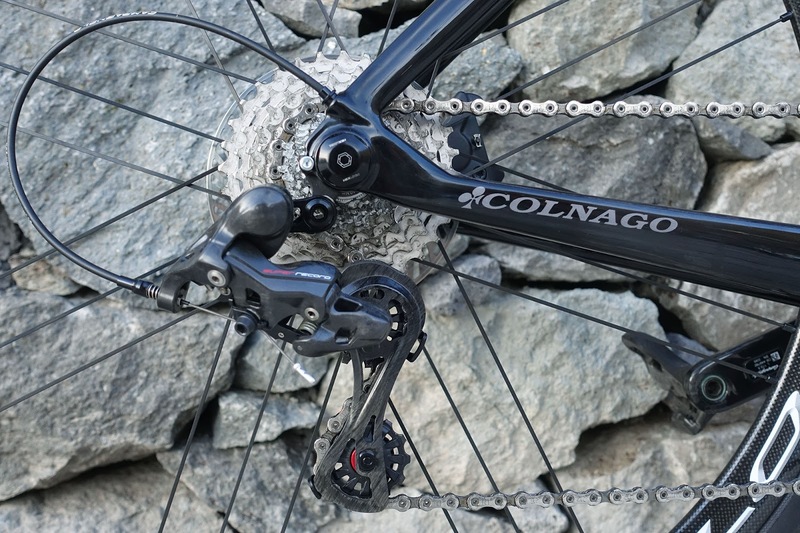 Campagnolo's H11 disc brake set up was touted for its strong performance against rival options. They also have a distinctly sleek and subtle profile. The new Movement12 disc brakes use that technology, but add in the more ergonomic lever of the new groupset, and the added gearing. Gus: "I first rode Campag discs on their unveiling last year, and while having not yet ridden them in the wet, it is clear they are a solid and sorted design. I personally prefer to ride rim brakes on both my road bikes, so I am probably not the best judge of discs on tarmac. 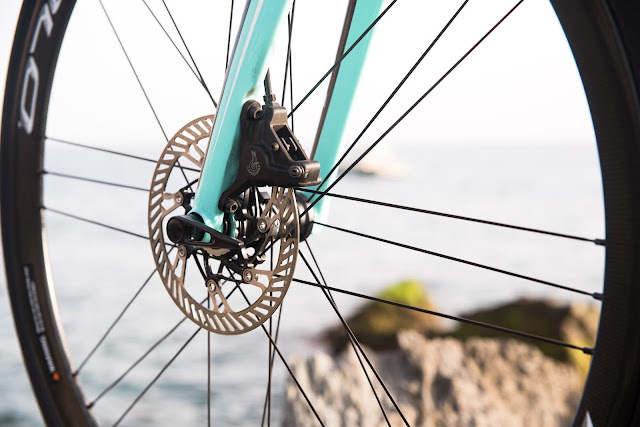 That said, the obvious advantages of the disc brake in a lot of riding situations (especially UK ones) means they will obviously be the focus for brake manufacturers from now on. There is a confirmed market in road, but I imagine it is in combination with those new gear ratios that this choice finds itself in best balance; in a word 'Gravel'. Feel wise, they are solid rather than grabby; quiet and subtle, actually. Personally, I still prefer the more 'audible' linear feedback of rim brake pads hitting the track, which suits both how and where I ride; but for those that could really benefit from a hydraulic rotor stopper, these are truly civilised in feel. In fact, I would say sublime. Features carry over from H11, and the modulation adjust with a single allen key remains one of the many nice touches you would expect from the Italian masters of detail." 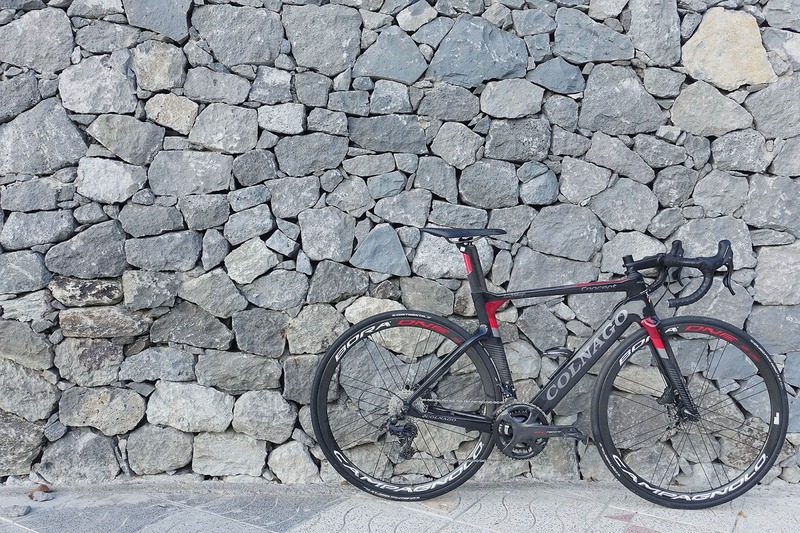 Summing up, the new Movement12 group set from Campagnolo pushes the boundaries, and opens up new horizons. 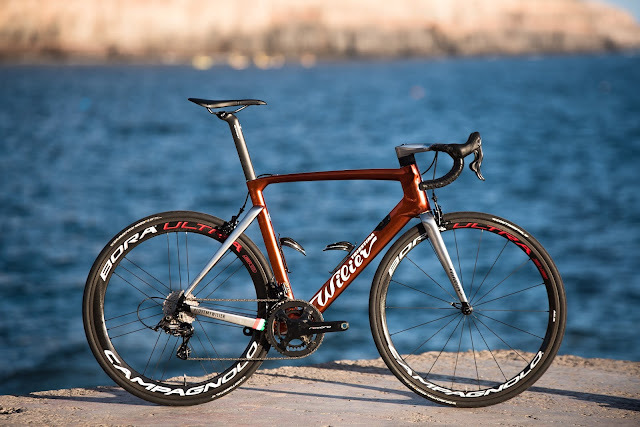 The combination of a wider gear range, better mechanical shifting, and disc brake performance, make this a serious contender for the title of 'No.1 Endurance Groupset'. 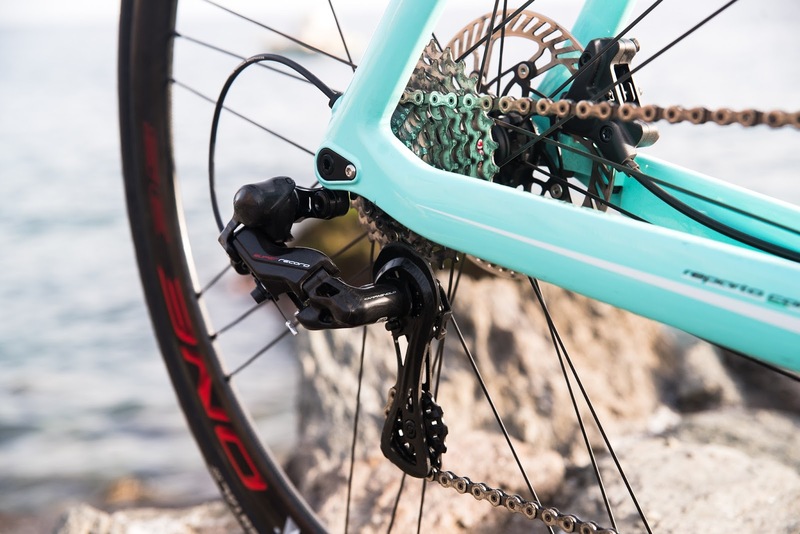 With Campagnolo's heritage of producing the highest quality components, I can seriously see that this new drivetrain and braking system will go the distance, whatever the terrain. "Movement12 fit onto the standard Campagnolo 10/11-speed freehub bodies"
Hopefully you mean 11/10/9-speed bodies all the way back to 1st gen. 9s from 1997. That is my understanding yes. The free hub body has remained unchanged over time. This latest iteration is no different.